The very best solution for long periods of back up power for mobile equipment when away from power supplies. 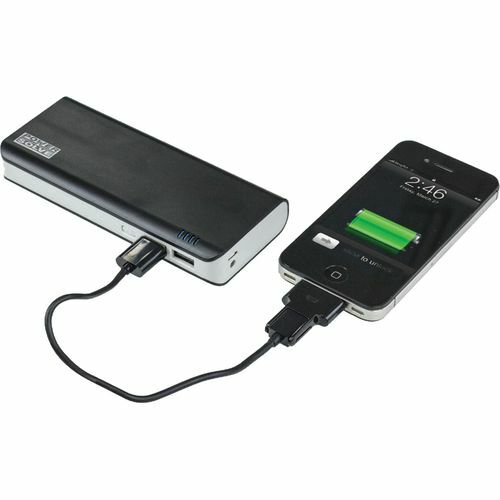 High capacity, will give 5 full charges to a typical mobile smart phone. Will charge two mobile devices at once i.e. mobile and tablet PC. Comes complete with additional cables and connectors for wide range of devices. Compact enough to fit easily into a pocket or handbag. Size 136 x 58 x 22mm.